Get to know your butcher. I'm in Sudbury today and spent part of the late afternoon, chasing down local butchers in search of some fresh Chorizo. I finally found some at Tarini Bros Meat and Fish. If you`re even in Sudbury, I highly recommend a visit to this meat counter. Not only did I find Chorizo, but I also bought some Andouille Sausage as well as a South African sausage called Boerewors. 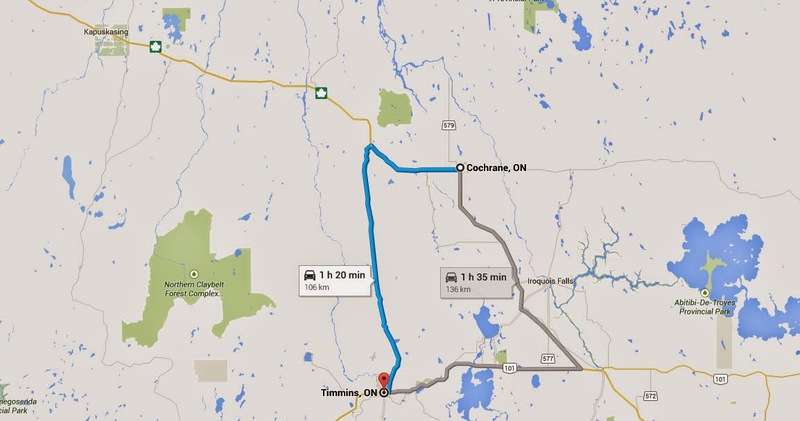 In Timmins, we do have a few places where you can get some decent meat. I'm always happy with the meat Counter at Pick of the Crop. Also, Harrold, the butcher at Levis Foodland is always able to find you the cuts of meat you might be looking for. Talk to your local butcher. Ask them what THEY like to cook. Ask them what's good value at the moment and they will steer you in the right direction. A recent post on Facebook got me thinking. That happens sometimes. 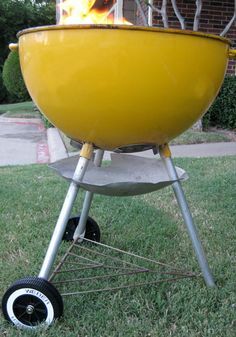 For the longest time, for me, the barbecue, was the cooking appliance that was located in my backyard. When I was a kid, it was some yellow or orange coloured charcoal appliance that someone lit using a half a can of lighter fluid. Over the years, and mostly with the advent of the Food Network and the Internet (remember when we actually couldn't look up BBQ recipes on Pinterest? ), I discovered that BARBECUE, is not that cooking appliance in the backyard (that's the grill). Barbecue has become a verb to me. To barbecue. Generally it means to smoke some type of meat, over low heat for a period of time until the connective tissues have broken down and tenderized the meat to make it succulent and mouth watering. Barbecuing allows you to take a tough cut of meat and make it edible. The difference between grilling and barbecuing is essentially the addition of smoke to the cooking process. All you need is some type of heat source, some type of smoke and time to have a few cocktails while you wait for the food to be done. I could have gone into much more detail about what barbecuing really is and how it differs from one culture to another, but another online blogger by the name of Meathead Goldwyn has already done it on his website. A reminder to those who are reading this blog for the first time, that we have at least 2 upcoming amateur BBQ competitions to be held in Northern Ontario this year. If you read some of my earlier messages, there are a few that explain what to expect at an amateur BBQ competition. Hopefully you can join us and compete sometime this year. Leave your questions or comments below. No, this is not a recipe on how to cook amazing ribs. But it is a website I visit often for all kinds of BBQ and Smoking related info. It's run by a guy called Meathead Goldwyn. And if you can't trust a guy called Meathead about BBQ, what else could you ever trust him about. Just click on the link below. Boiling my ribs gets them tender.... blasphemy! I follow a lot of cooking and BBQ Facebook groups. One of the recipes that I see pop up quite often is Crock-Pot Ribs or Slow-cooker Ribs or Coca-cola ribs or any other variant on the theme. Strangely enough, these recipes never come up on the BBQ, Grilling, or Smoking Facebook groups, but mostly on the other more general cooking groups. Here is a word of advice.... Never, ever, ever boil your ribs!! Why you ask? 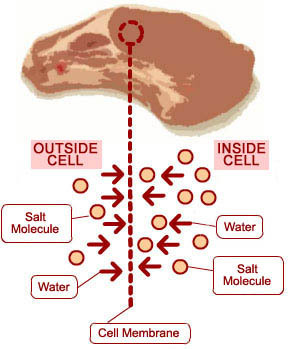 When you boil meat, all the flavor which is in the protein gets extracted into the water. Remember hearing about osmosis in high school science class? This is a classic example of it. Would you ever boil a steak before serving it? 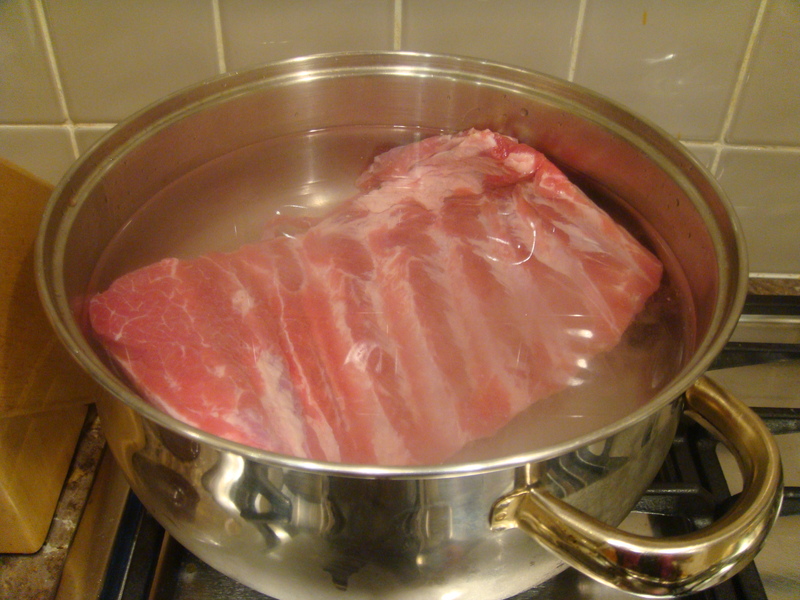 I recommend not boiling ribs unless your plan is to make a pork soup of some kind. Some will say that boiling ribs makes them tender and fall-off-the-bone. While true, it also makes them mushy and not as appetizing. 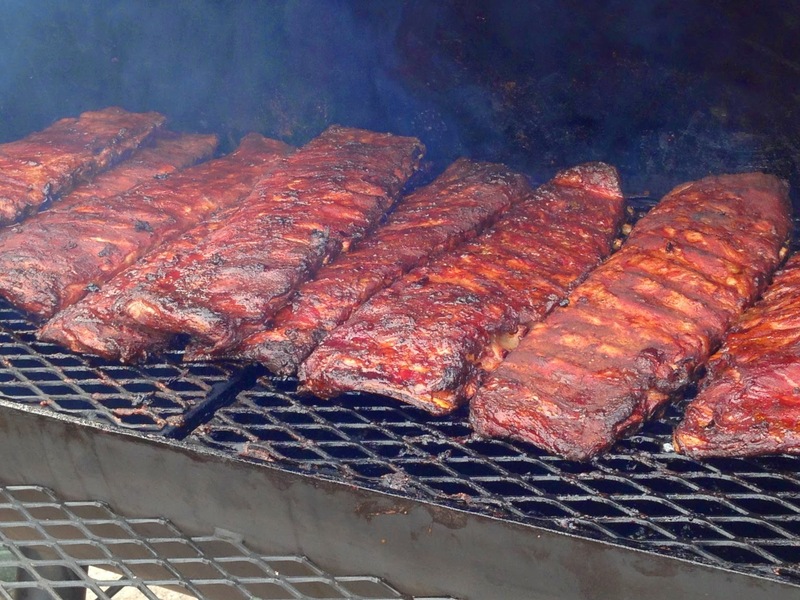 In another post, I`ll go over a method for cooking ribs which will be more time-consuming, but will yield superior results and make you the rib King or Queen of your neighborhood. It's shaping up to be a really good BBQ summer in Northern Ontario. Competition in Cochrane on August 8th. Competition in Timmins on September 12th. Sure would be cool to have a Trifecta wouldn't it? July is looking a bit quiet right now. I wonder where we should host our 3rd Northern BBQ competition of the summer? Hmmm.... more to come and hope to have an announcement soon. Today is a good day in BBQ. One of my favorite BBQ related TV shows starts up again tonight. BBQ Crawl Season 3 starring Danielle Dimovski (aka DivaQ) plays on the Travel and Escape channel tonight at 9 PM. Here is the website for the show. Danielle travels all over the United States, chowing down on great BBQ along the way, chatting with the Pitmasters and competing in various BBQ comps. My own BBQ crawl experience has been limited to a few places in Ontario over the years. D&S Southern Comfort BBQ in Ottawa, Buster Rhino's in Whitby. About 10 years ago, I ate at a place in Barrie (I think it was called Mike Love's BBQ) and a place in Orlando called Smokey Bones. Actually, Smokey Bones is what got me started on my BBQ journey as it's where I got my first ever taste of pulled pork. Toronto has a developing BBQ scene. On my BBQ bucket list is Baju BBQ owned by Zane Caplansky. 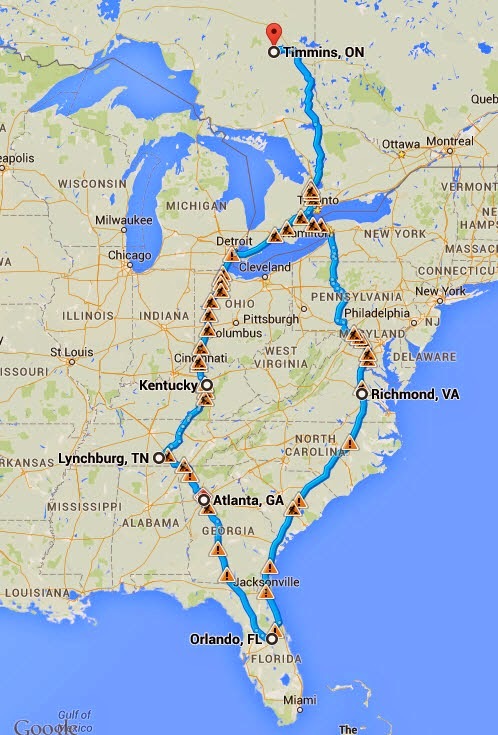 I still say that one of these days, I want to take a road trip from Timmins down to Florida and back and hit up a bunch of barbecue joints along the way. Speaking of Diva Q, she has a great Youtube channel where she shares recipes and stories from the road. Hope you enjoy the show and it starts just in time for BBQ season. If anyone has a few hundred bucks lying around, I'd love to have one of these kits for my gas or charcoal grill. Please and Thank You.